If someone were to tell you that the novel in your hands was about the behind-the-scenes processes involved with the publication of a tell-all memoir, it is unlike that your first thought would be “Oh, then it must be a thriller.” But that is exactly what The Accident by Chris Pavone is about – and it most definitely is a thriller. 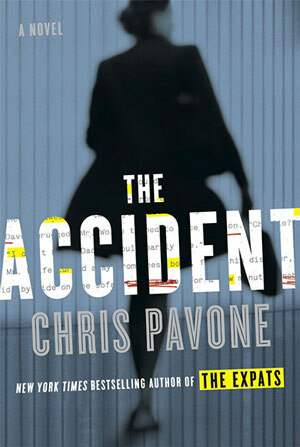 Chris Pavone’s second novel, The Accident, takes place over the course of one day. It is divided into three sections (Morning, Afternoon, and Night) and fifty-seven chapters. Interspersed throughout are pages from the controversial manuscript which is the focus of each characters attention. If there is a main character within the vast number of personalities Pavone puts into play, it would be Isabel Reed. Isabel is a literary agent and as the novel (and the day) begins, she has found herself in possession of a manuscript which mysteriously appeared at her office. Until she starts reading, she has no idea why this particular manuscript was submitted to her agency, but once she begins turning the pages, she quickly realizes that it was likely a very calculated decision made by the anonymous author. The manuscript is for a tell-all memoir about Charlie Wolfe and documents an accident that occurred in his youth long before he could claim the status of revered media mogul and businessman he currently maintains. Were it to be published, Wolfe Worldwide Media would become the focus of broadcasting exposés everywhere and anyone involved in divulging Charlie Wolfe’s secrets stands to make a ton of money. This is where the thriller aspect of the plot comes into play. Even though there are supposed to be limited copies of this manuscript, a few misguided and careless actions result in multiple copies circulating the publishing arena. The characters involved in the story represent various publishing career choices and each person has a reason to want to get ahold of this manuscript. There are assistants trying to find a way to climb the corporate ladder, a rights director wanting to sell the story to Hollywood, a publisher on the verge of bankruptcy looking for a bestseller, and various other editors and publishing types – all with a stake in what happens to this intellectual property. That alone would be enough to cause the cut-throat action that follows, but let us not forget the shadow government agency also trying to control how this information is disseminated and Mr. Charlie Wolfe himself, who clearly has a vested interest in destroying all clues to the manuscript’s existence. Chris Pavone makes this tale a life or death adventure and unfortunately, more than one character comes out on the wrong end of that equation. What is truly remarkable is that Pavone is also able to say some really important things about the publishing industry at the same time. He goes behind the scenes to reveal what is currently happening in the ever-changing landscape of publishing and readers will be fascinated. None of the details Pavone provides read like the dull, academic topics they may have become in less talented hands. At last year’s Bouchercon in Albany, Chris Pavone took home the Anthony Award for Best First Novel for his debut, The Expats. 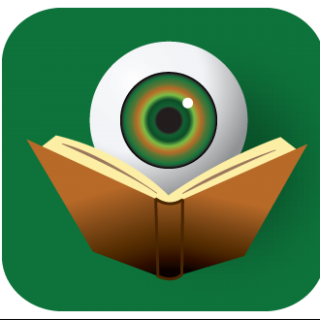 Readers should expect that The Accident will find itself on many award nominee lists when that time comes around again. Disclaimer: A print galley of this title was found in the Bouchercon swag bag courtesy of the publisher. No review was promised and the above is an unbiased review of the novel.